New tank syndrome happens as pollution (NH3) builds up in water caused by fish excreta and uneaten food because beneficial bacteria have not yet populated filters in sufficent volume to process the waste created. Care should be taken to watch NH3 levels during cycling the aquarium even if you are fishless cycling. If NH3 levels rise to unsafeduring cycling, a number of measures can be deployed to lower pollution levels. Please note however that NH3 is 100x more toxic to fish than No2 (nitrite). what is a filter crash and why does it happen? 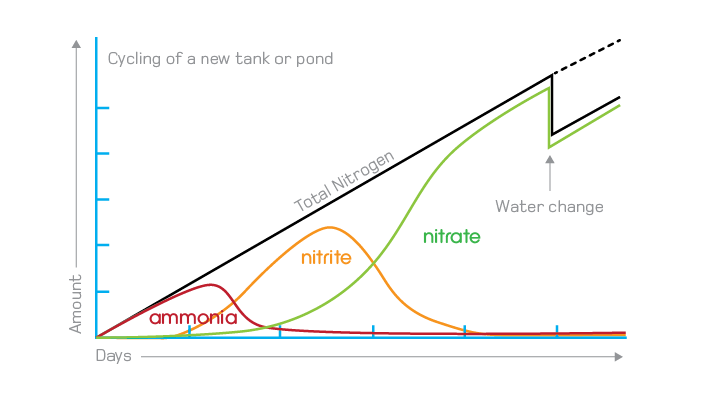 why does NH3 go up when I do water changes? why do I have ammonia NH3?